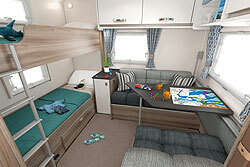 2019 follows the success of 2018 for Sprite which is the UK's best-selling caravan range. With three opening front windows, stylish soft furnishings, low energy LED lighting throughout, fast heat up Truma Combi-Boiler and a well equipped kitchen and washroom, you may be surprised you've walked into a Sprite and this is the secret to its success. Stewart Longton Caravans is a local family run business with caravan branches in Chorley, Standish and a motorhome depot in Chorley. Our dedicated and experienced staff can help you find exactly what you're looking for. Whether it's a new caravan, motorhome or even just a essential piece of equipment or advice we are there to help. 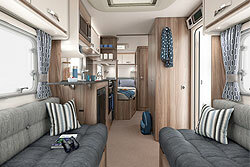 As one of the UK's main caravan dealers we are proud to supply new caravans from the biggest manufacturers. From three of our branches you can find the entire new ranges from Swift Caravans and at our dedicated motorhome branch in Chorley you can find motorhomes and Adria Caravans. At all of our branches we supply a wide selection of quality used caravans, each one going through a thorough evaluation process to assure only the best value models are for sale. In our aim to provide the complete experience our workshops are fully approved and independently assessed. Our fully qualified technicians are able to carry out any kind of repair, maintenance or fitting. Our fully stocked accessory shop carries everything you will need when caravanning ranging from the essential items to the luxury indulgences. Providing quality made awnings and motor movers from well established manufacturers, Stewart Longton Caravans really provides the complete experience.